Kia ora and haere mai, welcome to the twelfth instalment of 9mm for 2018, and the 184th overall edition of our long-running author interview series! Today I'm very pleased to welcome Welsh author Amy Lloyd, who has made a bit of a splash with her debut novel THE INNOCENT WIFE, a psychological thriller inspired by the recent surge of true crime podcasts and miscarriage of justice campaigns. 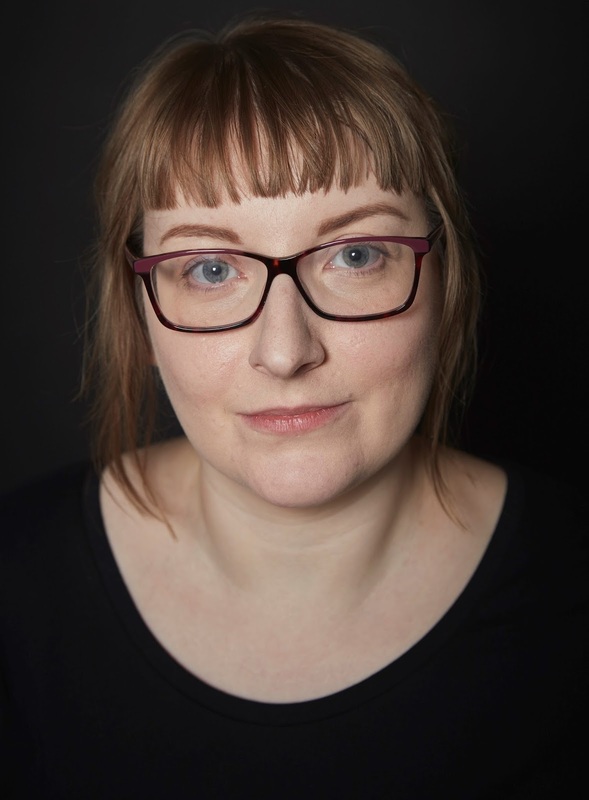 Her book was chosen from among 5,000 entries as the winner of the Daily Mail-Penguin Random House First Novel competition in 2016, and published in hardcover earlier this year. That competition was searching for new writing talent, and Lloyd entered her tale of a British woman who becomes enamored with a convicted killer in the US and campaigns for his release, only to begin wondering if he's a innocent as many believe. 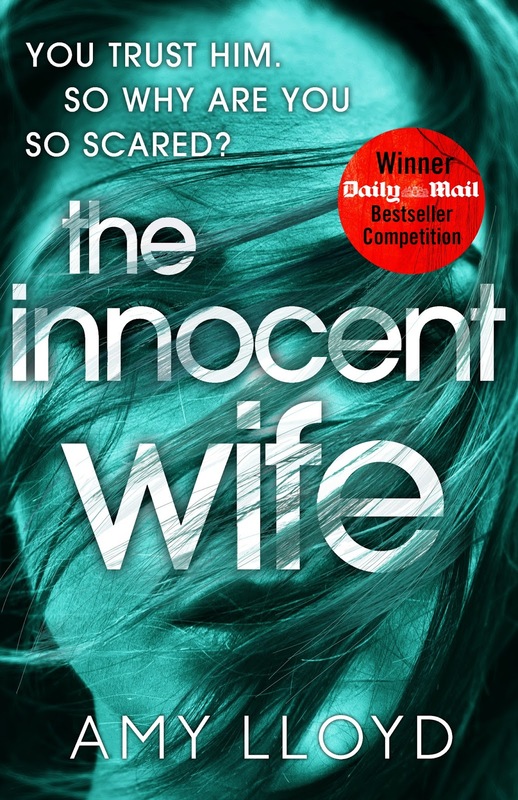 You can read the prologue and first chapter of THE INNOCENT WIFE here. But for now, Amy Lloyd becomes the latest crime writer to stare down the barrel of 9mm. It’s got to be Dexter Morgan of the Dexter books/TV shows. I love an anti-hero. The very first would be Roald Dahl’s THE TWITS. It was dark and nasty and funny. I think Roald Dahl was so good at getting that balance right, he really understood children’s minds and what made them laugh. That love for darkness that he inspired in me at a young age has never left me! So blame him. I wrote short stories and personal essays but never had anything published. I had never really tried to get anything published. I had submitted one or two things to online magazines but I didn’t really know what I was doing. I studied creative writing at university so amassed a lot of these short stories and personal essays but didn’t know what to do with them. None of them felt like they fit anywhere that I could submit to. Still, every one of them was essential in finding my writing style and my confidence. READING! That is number one and it’s the thing I find most difficult while I’m writing my first draft. I find it hard to concentrate and my mind keeps slipping to my own book. I like to cross stitch – rock and roll – and I love a good nap. I go to the cinema at least once a week. I’m a total riot, I know. They should look for evening events going on in Cardiff University or the museum. There are free lectures on a range of interesting topics and paid-for events that are different to anything you’ll find elsewhere. The best night my boyfriend and I had last year was an evening at the museum where a paleontologist took us for a tour of the dinosaur exhibit and talked about all the displays. Then there was a showing of Jurassic Park in the lecture theatre – our favourite film. Plus there were pulled pork buns – the perfect evening. Gemma Whelan! She makes me laugh and I make me laugh and so I think she would send me up quite well. 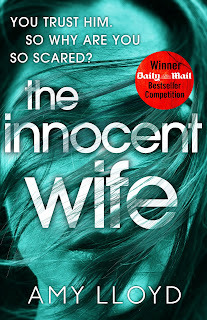 THE INNOCENT WIFE will always hold a special place in my heart because it was my first book and until I had written it I never really believed I was capable of writing a book. That being said, I feel like the characters in my new book are so complex and fully-formed that there is something magical about seeing them tell their story. So, maybe, book number two is my new favourite! It’s funny because the book was accepted for publication before I had actually finished it, so although I was happy to know it would be published I knew I had a long way to go. I don’t remember how we celebrated though I know we must have. We were still VERY POOR when I won the Daily Mail competition so it would have been a modest celebration!! We more than made up for that the day it was on the shelves. We went for a big meal and had champagne and went to every store we could to take photos of it on the shelf. I’m such a small-fry, I really don’t have any cool stories yet! The very first author event I went to was surreal because I got to meet Lisa Jewell, Anthony Horowitz, Tony Parsons, all these huge authors. I felt like a gate crasher! It was amazing because Araminta Hall was there and there were proof copies of her book OUR KIND OF CRUELTY, which I had read about and was dying to read. I got to take one home and I started reading it on the train and I felt like such a big deal getting to read this highly-anticipated book months before it was released. And it is such a good book! Getting proof copies is the best perk about being an author! Thank you Amy. We appreciate you chatting to Crime Watch.